How is building a brand like building a boat? Twinkle. 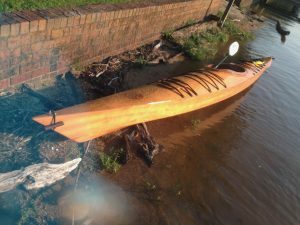 A Chesapeake 17 Sea Kayak. I’ve been building brands for over 35 years. Last year I did something new. I built a boat. A Chesapeake 17 Sea Kayak by #CLCBoats, made of marine plywood, epoxy, fiberglass, and time. It took about three months and I learned a lot about woodworking along the way. I also learned that building a boat is a lot like building a brand. Last Saturday, I jumped in the truck, turned on the radio, and there he was… the local DJ with the used car dealer urging me to “Come on down right now for free pizza, a chance to spin the wheel, and drive away in a certified preowned, like-new car with zero down and no interest… ” I had to laugh. You know the routine. You’ve heard it. Maybe you even responded to it. But did you really buy a car because there was free pizza? Did you really believe today’s offer was a “once in a lifetime” deal? No. You bought the car because you needed a car and you found the car you liked at the price you found reasonable. The advertising just happened to connect with you at the same time you had a need or interest. Advertising is NOT Selling. It’s communication. This is where so many marketers get lost. They confuse communication with selling and adopt a “used car salesman” approach to their communication. It’s dangerous territory. 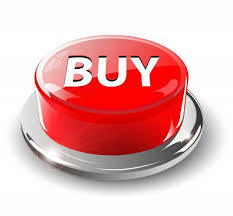 When you communicate “buy now”… especially on a major purchase… you diminish the value of your product or service and, more importantly, you insult your potential customer. The message IS the brand. To start with, people are not stupid. If you assume they are, you will treat them that way and they will know it. On the other hand, if you treat them with respect, they will respond with respect. Your message IS your brand, so choose your message carefully. You don’t have to tell people to “buy now”, “call today” or “apply now”. The more you do, the more you act like a commodity. 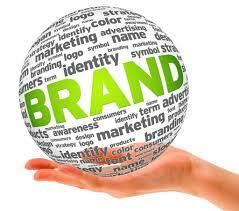 The more you act like a commodity, the less respect your brand receives in the marketplace. The used car salesman has an image because he acts like a used car salesman. Don’t be that guy. We use a powerful, unique ReVision™ process to uncover innovation, generate bigger ideas, and produce better results for our clients. The trade show. The bane of every manufacturer’s existence. Exhibits, travel, expensive dinners, sales meetings, more expensive dinners. To go or not to go. What will the competition do this year? There are thousands of articles detailing the finer points of show business. This one asks just one question? Why do you go? You can spend tens, even hundreds of thousands on the latest hardware, state-of-the-art technology, giveaways, and more but we submit that none of it will matter if you don’t know why you are there. A new client several years ago said they were getting ready for the “big” show. When asked why, the deer in the headlights answer was: “We always go to this show. Everybody (in our industry) goes to this show.” We said, “why not give your customers a reason to come by the booth and a reason to place orders during the show?” The result: They sold more product at that one show than in the previous 8 shows combined. Before you go to the next show, make a plan. Sell product, hire reps, get some free press, introduce a new product, kick off a promotion…all of the above. Make it specific and make it measureable. When you get back home, assess your performance versus your goals. It will make the decision about next year’s show a lot easier. Might even make it easier to order that last bottle of wine on the last night of the show. You know the stories of the great innovators. Amazon, Apple, Google are the superstar innovation companies of the day. 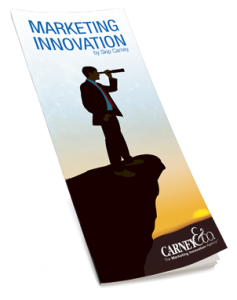 Their stocks, their sales, their margins, their profits, and their brands all reflect the benefits of innovation. But what happens if you DON’T innovate? You wake up one day and you are closing 120 stores. You are Sears. Sears stopped investing in innovation many years ago. Their competition didn’t. Today they are paying the price. There’s an ad agency in Michigan that has adopted the tagline “Mutate or die!”. The owner (a friend of mine) reasons that the world is changing, his clients have to change too or they will be out of business. The truth is, the world is changing because of the innovators. That is true today. It was true when the first cave man turned a rock into a wheel. It will always be true. Only innovating is innovating.